File photo of Langdon Bay. 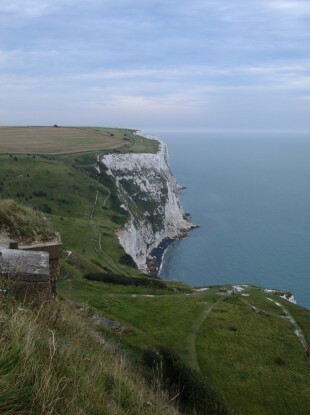 POLICE IN THE United Kingdom have discovered the bodies of two men and a woman near the Cliffs of Dover. Kent Police were originally called to Langdon Cliffs shortly before 2.30pm this afternoon due to concern for the welfare of a man. His body was later discovered at the foot of cliffs by the coastguard, police said in a statement. During this search, the coastguard unit discovered a further two bodies – a man and a woman. However, Kent Police do not believe their deaths are linked to the first man. “Enquiries into the circumstances behind all three deaths are ongoing,” the statement added. Email “Police find three bodies near Cliffs of Dover”. Feedback on “Police find three bodies near Cliffs of Dover”.